Sporting giant Adidas has revealed a new in-shoe exercise tracker that is set to expand the amount of data users can record during a personal workout. Dubbed the Adidas Speed Cell the footwear compatible chip works in much the same way as the hugely popular Nike+ albeit with an increased number of data parameters and compatibility with a wider range of sports. 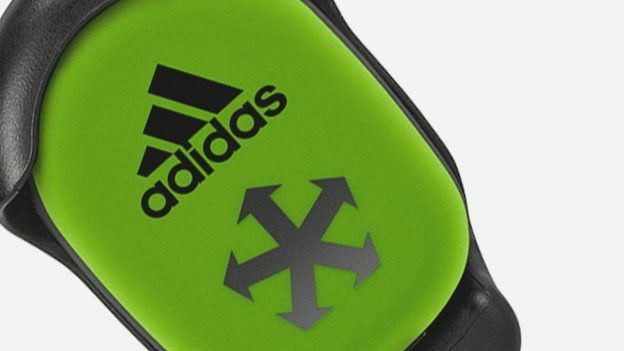 Expanding the former distance measuring chips designed solely with running in mind, the new Adidas Speed Cell will offer specialised performance metrics for football, basketball and tennis with users able to measure their average speed, maximum speed achieved, number of sprints and 360-degree movement. Set to be compatible with the recently unveiled Adidas adiZero F50 miCoach football boot, the Adidas Speed Cell will allow users to wirelessly transmit up to seven hours of internally stored recorded data to their PC, Mac, smartphone or tablet. Individual results will then be able to be compared not only with past performances and friends but professional athletes such as Lionel Messi and Ashley Young. With full UK Adidas Speed Cell price and release date information yet to be fully confirmed by the company responsible for the miCoach sports tracker, Adidas in the US has revealed the increased abilities of the Speed Cell will be available from December 1st priced $69.99 (£43.74). What doe you make of the Adidas Speed Cell? Do rank amateurs really need to know that much about their exercise sessions? Let us know what you think via the comments box below.